40 residential campuses (1985-1995) of Maharishi Ved Vigyan Vishwa Vidyapeetham, offering 12 year Vedic course. 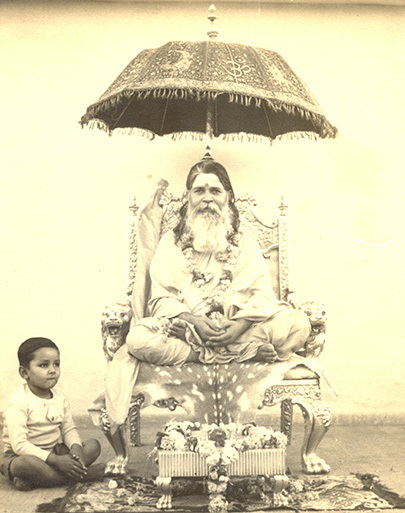 Maharishi Vidyapeeths (Vedic Schools) are unique in nature where students are provided free Vedic education including training of Yog and Yagya performance, room, board, clothing, health care and all facilities to study theory and practice of complete Ved and Vedic Vangamaya (Vedic Literature). Students follow strict Vedic Sattwik daily routine; practice Trikaal Sandhya, practice twice daily Transcendental Meditation, Siddhi Programme and Yogic Flying. In morning hours Students practice practical technologies of Yagyas and afternoon they attend classes. Over 50,000 students have been trained so far and about 6000 are currently enrolled. Has played key roll in setting up Maharishi Vedic Vishwa Prashasan under the auspices of Maharishi Ved Vigyan Vishwa Vidyapeetham Trust. Maharishi Ji has blessed Girish Ji appointing him as Prime Minister of Maharishi Vedic Vishwa Prashasan (Maharishi Global Administration through Natural Law) in 1997 at a grand celebration at Holland. With a dedicated team has established over 2000 Brahmanand Saraswati Vedic Vidyalayas in rural and semirural areas of Assam, Bihar, Chhattisgarh, Madhya Pradesh, Maharashtra, Orissa, Rajasthan, Uttar Pradesh and Uttarakhand. Approximately 2,00,000 students were enrolled and received Vedic education under one teacher school system (ekal guru ji vidyalaya). Maharishi Gandharva Veda Vishwa Vidyapeeth was established in 1987 and World Centre of Gandharva Ved Music (Indian Classical Music) was established at Maharishi Nagar, Gautam Buddha Nagar, Uttar Pradesh in 1988. So far these institutions have organized thousands of concerts under the title-Maharishi World Peace Festival of Music. The theme of these concerts is to create harmony, happiness, peace and balance in nature through Gandharva Veda Music. The centre has also established 25 Schools around the world in collaboration with different global Maharishi Organisations. Has recorded Gandharva Ved training videos (Sangeet Chudamani Padma Bhushan Pundit Debu Chaudhury-Sitar, Pundit Deba Prasad Banerjee-Flute and Pundit Uma Shankar-Tabla) in 1987 at Maharishi International University, USA. Maharishi Gandharva Veda Centre recorded and distributed audio albums of world-renowned accomplished Indian Gandharvans (musicians) i.e. Pundit Hari Prasad Chaurasiya and Pundit Amarnath-Flute; Sangeet Chudamani Pundit Debu Chaudhury-Sitar; Pundit Shiv Kumar Sharma-Santoor; Mrs. Lakshmi Shankar, Shri Rajan and Sajan Mishra, Shri Manas Chakraborty, Smt. Tanima Thakur and Smt. Sumitra Guha-Vocal; Pundit Anant Lal and Pundit Daya Shankar-Shehnai. On the basis of Time Theory of Gandharva Veda, Girish Ji has recorded one Raga for each hour of the day-24 Ragas for a day and also designed a machine to play these ragas 24 hours non-stop. Established (1991-92) two hundred branches of Maharishi Vidya Mandir Public Schools in 133 cities of sixteen states of India. These schools are from Nursery to higher secondary level. This is the largest privately owned chain of higher secondary schools in India. Schools are affiliated either with Central Board of Secondary Education (over 96), New Delhi or with different state school education boards. Over 100,000 students are enrolled and 6500 teaching and non-teaching staff manage to impart highest quality education in the country. To address the countries growing shortage in leadership and managerial skills in trade, commerce and industries and to train future leaders, Maharishi Ji asked Girish Ji to establish (1994) Maharishi Institutes of Management. MIM was the first institution in India to introduce International MBA programme in collaboration with Maharishi University of Management, Fair Field, Iowa, USA. MIM now has four campuses; Bangalore (Karnataka), Bhopal and Indore (Madhya Pradesh), and Greater NOIDA (Uttar Pradesh). Various UG and PG Management, Computer Science and Education courses are offered by MIMs, which are approved and recognized by All India Council for Technical Education (AICTE), NCTE and/or respective universities in their areas. With untiring efforts of many years Girish Ji was able to establish (1995) very first private Statutory University in India, in the state of Madhya Pradesh, named, Maharishi Mahesh Yogi Vedic University. The university offers about 55 courses including Ph.D., Post Graduate and Under Graduate courses in Vedic Science, Management, Computer Science, Arts, Commerce, Humanities and Languages. About 65,000 students are enrolled in regular and distance education programmes. Established Brahmsthan of India campus (started in 1996-97) for Vedic Pundit's training and performance of group practice of Yog, TM and performance of Yagyanushthan with the sankalpa of creating world peace, providing enlightenment to every individual and invincibility to every nation on earth. The campus is spread over 1700 acres with residential and teaching facilities for about 3000 Vedic Pundits. Established (1999) Maharishi Centre for Educational Excellence at Bhopal, the capital of Madhya Pradesh. MCEE is a unique institution with residential facilities, offering nursery to Post Graduate level courses in Vedic Science, Arts, Science, Commerce, Languages, Management, and Computer Science on the same campus. MCEE campus is fully air-conditioned and beautiful lush green with colourful fountains in peaceful serene atmosphere and spread over 48-acre land. Over 1200 students are currently enrolled in MCEE. School section is affiliated with Central Board of Secondary Education, New Delhi and University courses are recognized by either Bhopal University, Madhya Pradesh Technical University, All India Council for Technical Education, or National Institute of Teachers Education. Established Maharishi Institute of Information Technology (1999), to offer computer courses and to develop education software including academics and educational administration. Maharishi Institute of Information Technology imparts computer education to about 30,000 students all over India. Established (2002) very first privately run state University in Chhattisgarh state, named Maharishi University of Management and Technology on the invitation of then newly formed government. The university offers Post Graduate and Under Graduate courses of Vedic Science, Management, Computer Science, Arts, Commerce and Education. At present the university is in process of switching from state university status to private university status as per government new regulations. Established (2004) Maharishi Institute of Vedic and Management Sciences (MIVMS) to impart life oriented Vedic Science courses and job oriented Management and Computer Science courses mostly in rural and semirural areas of Madhya Pradesh. Founded Maharishi World Peace Movement on one of the most auspicious day of the year Shri Guru Purnima, 18 July 2008 with the resolution to provide enlightenment to every individual of our world family, offer invincibility to every nation and to create perpetual world peace. Having grand success of the movement in India, chapters have been now established in 11 countries on Guru Purnima of 2016. Established 11,500 sqft. first "Maharishi Peace Palace" in India at Bhopal, capital of Madhya Pradesh in 2009. Established high-class audio-visual digital studio with most modern equipments for recording and production of educational programmes, Vedic chanting and cultural programmes. Established Maharishi Centre of Excellence residential CBSE affiliated Senior Secondary School at Bidadi, Mysore Road, Bangalore, capital of Karnataka in 2010. 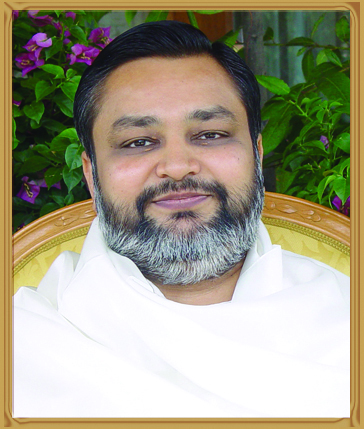 On 12 January 2010 launched E-Gyan, a digital monthly newsletter of activities and achievements of all Maharishi Organisations in India and Global Maharishi organizations. E-Gyan now reaches to 300,000 plus readers every month. Launched Maha Media Monthly Social Magazine on the auspicious day of Shri Guru Purnima 2011. The magazine provides lot of news, information and advice on health, education, agriculture, defence, vastu and many other Vedic life-supporting topics. Established Maharishi School of Excellence CBSE Senior Secondary School at Thiruvarkadu at Chennai, capital of Tamilnadu in 2012. Established very first five star quality fully air conditioned "Maharishi Vedic Health Centre" at Bhopal, capital of Madhya Pradesh in September 2013. This centre has 54 nicely appointed single bed suits and 18 double bed suits with solar water heating system, hygienic modern kitchen, spacious dining room, seminar room, class rooms, conference room, Vedic and general library, reading room, 8 consultation rooms and 18 Panchkarma rooms. Qualified and experienced team of Vaidyas (Ayurvedic Physicians) highly trained PK technicians and staff take care of guests to their full satisfaction. International and Indian Executives visit the centre for Panchkarma and treatment of chronic disorders. Established Maharishi Vedic Sanskratik Kendra (Cultural Centre) at Arera Colony, Bhopal in October 2015. This centre offers teaching of Yogasanas, Pranayaam, TM, TM-Siddhi Programme, Advance Techniques and consultancy in health, Jyotish, Vastu and Yagyas. The centre also has a well-stocked Vedic library with reading room. The centre also conducts training programme to open more such centre countrywide.